BAGAN PASIR is a small fishing village located on the outskirts of Tanjung Karang in Selangor. And if you love seafood, there are two makan places here that are worth a mention. 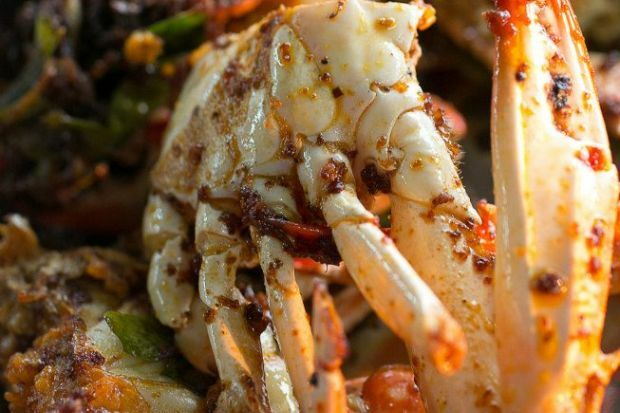 Of the two, Restoran Suang Le comes highly recommended for its house specialty ? Hong Kong-style steamed garoupa head. Locating this food outlet can be a real challenge if you have no knowledge of the locality. If you are driving on the Federal Route 5 from Klang, head towards Tanjung Karang town. The fishing village is on the left-hand side of the road, some 3km before the Sungai Tengi bridge linking Tanjung Karang and Sungai Burung. The first thing you will notice is that the fishermen?s houses are on the right-hand side of the road. And on a hot day, you can actually see the residents drying shrimp and fish in their driveway. Fresh and tasty: The Hong Kong-style steamed garoupa head. Restoran Suang Le (N 03 23.988, E 101 10.284) is right at the end of the road. I paid a visit to this makan place with my wife Michelle and ordered the steamed fish head (RM20) as recommended by the waitress. We also had a plate of fried beehoon with prawns (RM8) and a plate of fried crabs with chilli and curry leaves (RM12). And when it comes to the quality of food, I must say that the garoupa was fresh and the savoury sauce that goes with it was really tasty. 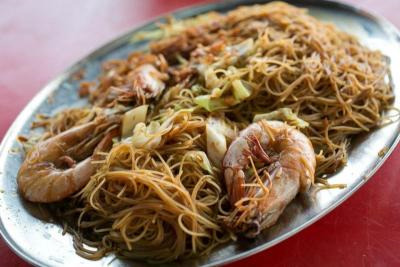 Michelle and I were really surprised with the large portion of beehoon and the generous serving of prawns. ?Eh, in Kuala Lumpur ah, you can never get such a price la!,? she said. As for the fried crabs, it tasted excellent and I must say that RM12 is certainly the price to beat. So, to sum it up, I would rate this makan place eight out of 10 on the Samo-scale. Aside from the good food, the only downside would be the cleanliness. We noticed that the kitchen helper would dump everything into the sea after clearing the tables. I guess that is the drawback of dining in an exotic location like Bagan Pasir. And if you decide to makan at this place, be sure to get there early as the number of dining tables is limited. Bagan Pasir can be accessed via the Latar Highway from Kuala Lumpur or through Federal Route 5 (Klang-Teluk Intan Road).